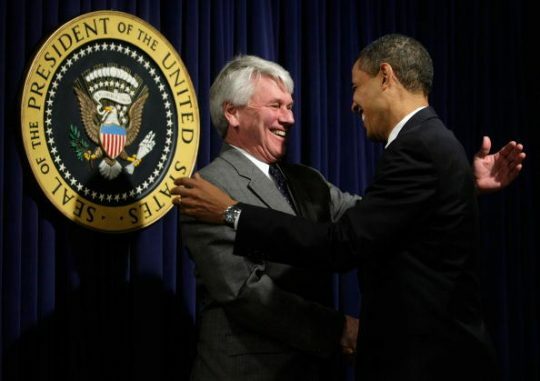 Former Obama White House counsel Greg Craig was indicted Thursday on two counts of making false statements about work for clients in Ukraine in a case stemming from Special Counsel Robert Mueller's Russia investigation. Craig served under President Barack Obama from 2009 to 2010 and is a prominent Democratic attorney. He faces up to five years in prison for each count of lying and hiding information about his work, according to CNBC. Craig was charged by the Justice Department's Foreign Agents Registration Act unit. CNN reported the statute of limitations for the original investigation subject—failing to register as a foreign agent—had expired. "The purpose of FARA is to prevent covert influence by foreign principals," the indictment read. "Proper registration under the statute allows the U.S. government and the American people to evaluate the statements and activities of individuals who are serving as agents of foreign principals." In anticipation of the indictments, Craig's attorneys William Taylor III and William Murphy released a statement Wednesday saying he was innocent and a victim of prosecutorial malfeasance. "Mr. Craig is not guilty of any charge and the government's stubborn insistence on prosecuting Mr. Craig is a misguided abuse of prosecutorial discretion," they said. Prosecutors allege Craig lied to the special counsel's office in 2017 about the nature of his firm's work for then-pro-Russia forces in Ukraine in 2012. In an arrangement spearheaded by future Donald Trump campaign chairman and convicted felon Paul Manafaort, Craig and his firm Skadden-Arps did work for Ukraine's Ministry of Justice beginning that year. This entry was posted in Issues and tagged Obama Administration. Bookmark the permalink.